Jimmy Wu has been a leader in the Aerospace Industry for nearly 20 years. Mr. Wu is chairman of the board, president and chief executive officer of Infinity Air, Inc., a global leader in the Commercial Aviation Spares and FAA certified Repair Industry. Mr. Wu founded Infinity Air, Inc. in 1997 and through his dynamic vision and strategic planning, Infinity and its subsidiaries repair stations Allflight Corporation, has grown from an ambitious startup venture to a multi-million dollar global Supplier and Repair Station of Choice. Under Mr. Wu's leadership, the Infinity Air Group has grown to include over 120 employees and over 150,000 square feet of facility space in five locations. This includes three spares distribution facilities, in Los Angeles, Miami and Seattle, and two FAA certified repair stations in Miami (8A9R791B FAA/EASA) and Seattle (PK3R654Y FAA, EASA, ANAC, and CAAC). In addition, Mr. Wu serves as CEO of Infinity Air Oregon, LLC, a company based in Portland, Oregon specializing in the leasing of Advanced Aerospace Composite equipment and tooling. Mr. Wu also serves on the Board of Directors on Light-year Express, an international logistics/transportation company that specializes in large oversize air and ground shipments, as well as IAIP, the Intellectual Property R&D arm of the Infinity Air Group. The promotion of Aerospace industry safety and integrity are great passions for Mr. Wu, who currently serves on the Board of Directors for the Aviation Suppliers Association (ASA). 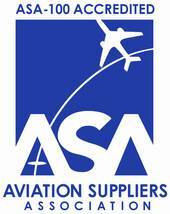 The ASA is a non-profit Aerospace association focusing on safety, international compliance, and ethical industry business practices. Mr. Wu plays a key role in leveraging his strong relations within the Pacific Rim/Southeast Asia and advance composite flight control repair to ensure that distributor safety and standards are consistent worldwide. Prior to founding Infinity Air, Mr. Wu was the North American Purchasing Manager and the Pacific Rim/Southeast Asia Sales Manager for Ryder Aviation Sales. Mr. Wu holds a Bachelor of Science Degree from University of California, Berkeley and currently resides in Los Angeles, Miami and Seattle.